The following is an example of OK, but not so good copywriting as might be used by a Used Mercedes Dealer. Please note, however, justweb® is NOT a Mercedes-Benz dealership. 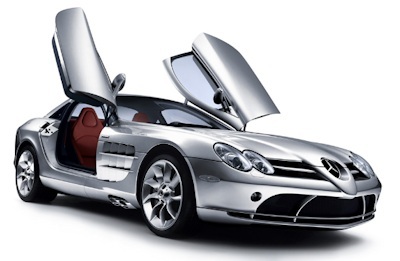 To see an example good copywriting to compare styles, please visit the Mercedes Dealer page. Welcome to our Used Mercedes-Benz Dealership. We offer outstanding customer service and will assist you in any way we can to make your car buying experience a memorable one. Our showroom contains great value used Mercedes-Benz vehicles, but if we don't have the vehicle you want in stock, we will endeavour to find it for you. and finally the Options AMG. With such a large variety of models available, there is a vehicle to suit almost any purpose, commercial or domestic. Many of the vehicles in the Mercedes-Benz range have a large load capacity which would suit families and the Viano MPV is specifically designed with the tradesman in mind. Otherwise you can choose from the popular sportier style vehicles such as the Roadster and Sports Tourer. Take some time to browse through this site by clicking on the navigation bar to explore the main sections. If you would like to arrange to test drive any one of our used cars, click on the link and fill out the online form advising us of your preferred time and we will endeavour to accommodate you. We hope that you enjoy your visit and look forward to doing business with you. Example Text Only Please note: the above text is an example of copywriting only and how changing the focus of your website copy can change the impact upon the reader. To read an example of copywriting which is much more effective, please read our Mercedes Dealer page example.